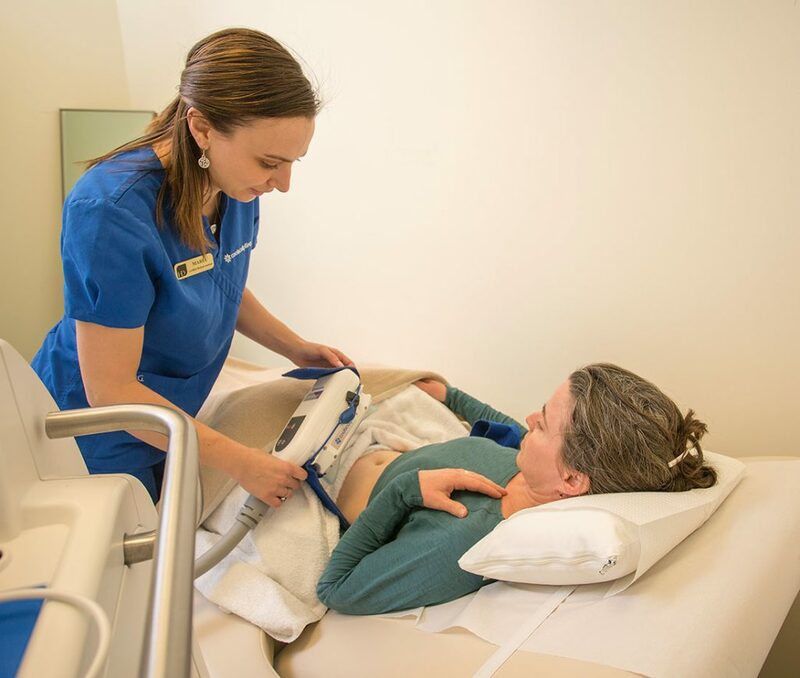 Your CoolSculpting experience at Hampshire Dermatology is distinguished by the personal attention you receive from Dr. White, the extensive training of our CoolSculpting technician, and the most advanced technology available. At Hampshire Dermatology your consultation, evaluation and treatment are all supervised by Dr. White, a board certified Dermatologist. We strive to make your experience as comfortable as possible so you can be confident you’re receiving the best treatment possible. 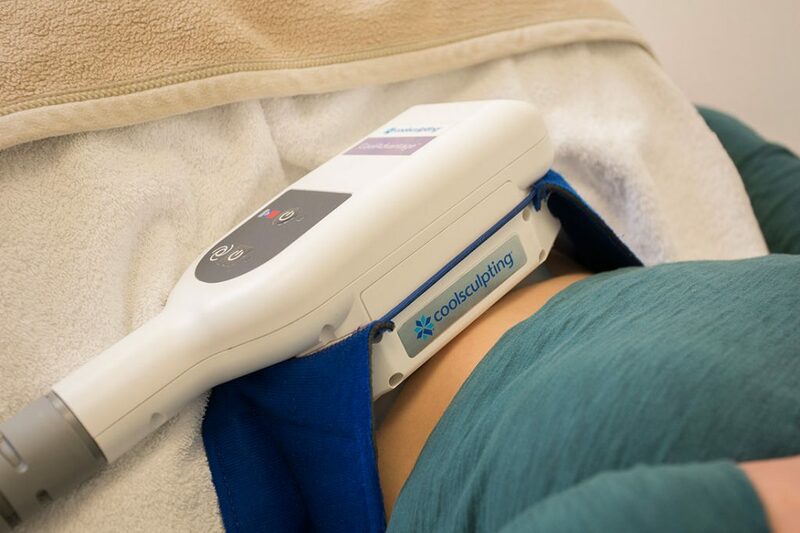 Hampshire Dermatology offers CoolSculpting® – a non-surgical procedure that eliminates stubborn fat safely and effectively. Try it now and see results in as little as 4 weeks. At Hampshire Dermatology, we will work with you to develop a customized CoolSculpting treatment plan. The procedure is non-surgical, requires no anesthesia and is completely non-invasive. You’re in and out of the office in a few hours, with minimal to no downtime, so you get back to work and normal activities right away. The science of CoolSculpting is relatively simple. Fat cells freeze at higher temperatures than surrounding tissues. The CoolSculpting technology safely delivers precisely controlled cooling to gently target the fat cells underneath the skin. Over time, your body processes the fat and eliminates these cells. Once they’re gone, they’re gone for good. You may start to see changes as quickly as four weeks after your treatment, and will experience the most dramatic results after two months. However, for up to two to three months after the treatment, your body will continue to flush out fat cells. CoolSculpting is a non-invasive procedure that eliminates unwanted deposits of subcutaneous fat. Subcutaneous fat deposits are the “pinchable inches” that persist despite our best efforts with healthy diets and exercise. Fat tends to accumulate in certain areas of the body. We have funny names for these spots, like “muffin tops” and “love handles.” CoolSculpting can treat these areas by using cold to freeze fat cells. In contrast to liposuction, CoolSculpting is a non-surgical approach to fat reduction. Fat cells are more sensitive to cold than other tissue, such as skin. CoolSculpting uses cold to selectively injure fat cells in the treatment area. Your body recognizes the injured cells and gradually eliminates them through the lymphatic system. Good candidates for CoolSculpting have unwanted, localized fat deposits in treatable areas, such as the abdomen, thighs, flanks or double chin. Good candidates are in good overall health and have not had recent abdominal surgery. Good candidates also have a realistic set of expectations for treatment outcomes. Not everyone is a good candidate for CoolSculpting. CoolSculpting can reduce fat in targeted areas, and is not a weight loss treatment. Patients who are morbidly obese are not candidates. CoolSculpting does not treat visceral fat, or fat within the abdominal cavity. Some people don’t have localized fat deposits and wouldn’t benefit from treatment. Pregnant or recently pregnant women need to postpone treatment. Patients with certain cold-sensitivity disorders such as paroxysmal cold hemoglobinuria, cryoglobulinemia, cold agglutinins, or uncontrolled medical problems are not good candidates. Patients with unrealistic expectations are not good candidates. How can I find out if I am good candidate? It starts with a complimentary consultation with Dr. White. Contact us today to find out if CoolSculpting is right for you. At your consultation, you will meet with Dr. White who will explain the procedure, review your goals and medical history, and examine you. She will develop your personalized treatment plan and a date for your treatment will be scheduled. CoolSculpting is FDA approved for fat reduction at the chin, arms, abdomen, flanks, inner and outer thighs, as well as the bra rolls, back fat and where the thigh and buttocks meet, also called the “banana roll.” Worldwide, CoolSculpting is also used to treat the inner knees. Is CoolSculpting covered by insurance? How much does it cost? The cost of treatment depends on the areas treated and how many treatment cycles are needed to reach your goals. Some patients may benefit from more than one treatment to an area for increased fat reduction. Contact us today to schedule your personal assessment and treatment plan with Dr. White. Patients sometimes ask about payment plans. Hampshire Dermatology accepts CareCredit, as well as all major credit cards. CoolAdvantage refers to the newest hand pieces from CoolSculpting. 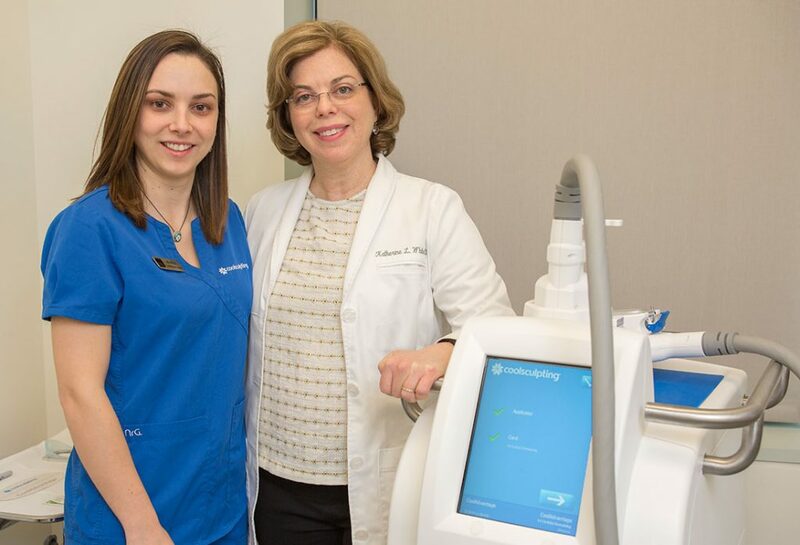 Hampshire Dermatology is the first practice in the area to have the CoolAdvantage! Faster treatment times: Cycle time reduced from 1 hour to 35 minutes! More comfortable: 45% more comfortable during treatment and less post procedure discomfort! Larger treatment area: 10% larger surface area treats more tissue! Patients who have had both the original and CoolAdvantage hand pieces tell us how much they prefer the CoolAdvantage, for comfort, efficient treatment times and great results. What should I expect the day of treatment? On your treatment day, you will have “before” photos taken. You will have the chance to review and sign a consent form after your questions have been answered. Dr. White will assess you again and mark the treatment area(s). A gel pad is applied to the skin, and then the applicator. There is a pulling, tugging sensation as the tissue is drawn up into the cooling hand piece. 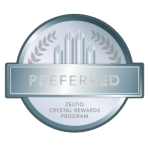 At the beginning of each treatment cycle, you may feel cold, stinging, prickly sensations in the area being treated. This subsides within a few minutes. At the end of the cycle, the applicator is removed and the area is gently massaged. At Hampshire Dermatology, we make every effort to ensure your comfort during treatment. Many patients read, watch a movie, work or nap during treatment. The length of your treatment will depend on how many areas and cycles are planned for that day. You will be given an estimated length of your visit at your consultation. It is normal to have some redness, tingling, stinging, achiness, itchiness, skin sensitivity, tenderness, firmness, cramping, or mild bruising after treatment. These sensations are mild, temporary and typically resolve within days or a few weeks. Pain after treatment is not typical, but do call us with any questions or concerns. There are no specific restrictions on activity after treatment. You may go to work, or even exercise class, after treatment. We will schedule a follow up assessment on your treatment day so we can review your experience and results. You may start seeing results as soon as 4 weeks, and the full benefit is seen 2-3 months after treatment. CoolMini is the small applicator designed specifically to treat submental fat, or the double chin when caused by fat. It turns out that the CoolMini is also handy for treating “bra rolls,” or unwanted fullness at the outer edges of the upper chest. The treatment time is 45 minutes per cycle. Some patients benefit from more than one treatment. It all starts with your personalized consultation with Dr. White. Why Hampshire Dermatology for CoolSculpting? We are delighted to offer this potentially transformative procedure to our patients. We’ve done hundreds of treatments and our patients express confidence in their decision to have CoolSculpting at Hampshire Dermatology. Dr. White evaluates every patient and develops the treatment plan. Our CoolSculpting technician, Maria, is a proud graduate of CoolSculpting University. The CoolAdvantage hand pieces we use shorten treatment times, improve comfort and treat a larger surface area, making non-invasive fat reduction more convenient than ever. There’s no time like the present. Contact us today to set up your complimentary consultation, and move one step closer to seeing results.